We are living in a world which is completely driven by technologies and the internet or web being one of the most vital platforms for gathering as well as spreading knowledge. We start our day by checking our social media accounts, we read the daily news online, we read editorial articles online and even when we are studying or reading something, if we are stuck at a particular point, we don’t find out other hardcover books to solve the problem rather we just click the Google search icon on our mobile phone or laptop/desktop to find out the meaning. EBooks are the creation of this technology along with the creative minds of the writers. EBooks are same as hardcover books with few clear differences. Publishing EBooks has become an online business for many writers as well as individual publishers and also the popular publishers as the whole world is reading through the glass screens of their phone or laptop nowadays. Proprietary Business: If you are an individual writer, the most beneficial way to publish your book online is to form a proprietorship business entity. It will not only give you the rights to publish your own creativity as you like but it also makes your book look more professional which in turn will increase your sales. Proprietorship businesses are comparatively easier to form as there are little legal compliances and also the capital you need is a small amount. However, all the rights and duties are yours and all the profits too. For self-publishers, sole proprietorship business works the most as this is not just commerce but it is selling art through commerce. So, individual mind with creative thoughts can do it better than involving others who cannot understand the creativity. In the long run, you can also publish books of other authors on your website and expand your business. Partnership Firm: If you are a writer and you have a bunch of friends with entrepreneurial skills, you can right away start your own EBook publishing companies. For forming a partnership firm, you need to have a legal deed to which all the partners adhere to. This will be an unlimited partnership firm that is, in the case of losses, the partners has to bear the total loss even at the cost of their personal assets. Limited Liability Company or Partnership: LLC provides the opportunity to the budding entrepreneurs to start their own venture as this is a form of partnership business where the partners need to pay for the losses to the extent of their capital employed or shareholding in the business and their personal assets are not affected. EBook publishers who want to make it big can go for this form of business. Pricing Model: EBook publishers use a very distinct pricing model. You might have seen many EBooks available for free on various websites, then how they make a profit, isn’t that a question struck you? Profits are made by online ads or references. There are other publishers who publish EBooks only for specified products, individuals, or companies etc. and the price of those books are more than the prevailing market prices or the same or similar books. The most common factor which is seen in this business that mostly EBooks are priced lower than the market price of the hardcover of the same book and this gives the EBook publishing business a real boost as we shop everything online nowadays for availing the big discounts. Entry Barriers are less or negligible: Entry and exit barriers are really low in EBook publishing business. You can enter this industry with little capital and even sometimes there are free resources to join this industry. Building up a relationship with the customer is also easy as you connect instantly via web services. Nominal Risk with High potential for Profit: Cost of producing the EBooks is really less compared to the hardcover books and that is why the percentage of profit remains on the higher side. If a business starts to roll, it will generate great profit margins within few years and with a range of EBooks. SEO: This is another factor which brings customers to the EBook publishing companies and makes their business big. Publishing books online can be tied with SEO to attract traffic to the publisher’s site which in turn increases the sales. Distribution: It has been seen that the publishing companies which provide democracy to their writers to publish the books online with the retailers of the publishing company are securing more profits by leveling up their paychecks. Give a professional outlook: For the sole proprietorships who are the writers of the EBooks too, it gives you an edge over other writers by putting you as more professional with your work. This, in turn, helps in generating more opportunities and profits thereby. Tax Benefit: When you build your own business of e-Publishing as an LLC or Sole Proprietorship business, your personal taxes get separated from your business taxes. This helps in reducing the overall tax you have to pay per year. Lots of Options: You can use your online publishing house for hiring other writers too and publish their work. This will increase your revenues and will give opportunities to the budding writers. India though progressed a lot but still, we prefer daily newspaper with our breakfast over the mobile apps which feature the same news. We still go to bed with a storybook in our hand rather than the tab which has an EBook. And this is the main difficulty of any EBook publishing company in India. The exposures of EBooks are less and our population is still stuck with Paperbacks. There is no standard format for publishing EBooks which is another major obstacle for the publishing companies. Digital formats of books are not that secure as anyone can copy them and the author might not get the deserved respect and remuneration. Hardware and software are needed to read the EBooks on particular devices which also cut down many customers from the list of the EBook publishing companies. EBooks are for people who love gadgets and love being free. It is not for everyone who loves to read. Research and select the type of business: Decide whether you want to set it up alone or with partners that are whether you want to make it Sole proprietorship business or LLC. Expert Advice: Talk to the experts who either run a publishing house or successful businesses to understand the requirements and scope in details. Select Name and Buy a Domain: Before going online you need to buy a domain for your website and you need to name it. A thorough research is needed to understand the type of domain and website you need for your EBook publishing business. Accounting System and Financial Model: Every publishing house follows their own financial or business model for profit generation. You need to draw your own. Hire an expert for modeling your revenues so that you can make the most out of your publishing site. You also need to select an accounting system which you want to follow for keeping records of your finances. 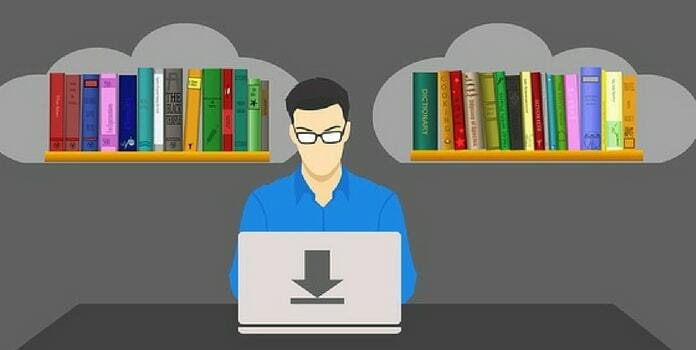 Learn the Laws pertaining to EBook publishing business in India: It is necessary to understand the specific laws of a particular business before taking a tip into the water. EBook publishing business has also a certain set of rules and legalities to be met and followed which you need to know by heart before starting your publishing business. For publishing your book online, you need to buy ISBNs. Domain purchase & registration has to be done. If you are writing the book yourself, you need to register and avail the copyrights of the book so that no one can steal your original idea. For the sole proprietorship firms, you can avail a bank loan for your new publishing venture. You can easily avail a gold loan or any other personal loan for starting your EBook Publishing Site. For the Partnership or LLC, a bank loan is also an option but if you want to make the business bigger, you can approach venture capital firms or the angel investors to invest in your project. You can work with online retailers for your published and ready to publish books. This ensures a great profit margin. There are many brand retailers with whom you can work with against a part of your profit. You can share the links to your EBook on social media to attract readers. EBook publishing business is getting required popularity and demand over time and it has better prospects in the near future. i am interesting in online business please suggest me how i start my business.